Last year’s doc hit and Oscar nominee The Square offers a compelling account of the ways in which social media pioneered digital democracy in the Arab Spring movement. This feature documentary The Amina Project, a co-pro from National Film Board of Canada, offers a new twist on the viral revolution that exploded during Arab Spring as it recounts the story of Amina, a Syrian revolutionary dating a Montrealer, who is mysteriously abducted and leaves no trace other than her blog A Gay Girl in Damascus. Billed as “part love story, part international thriller, and a gripping chronicle of an unprecedented media and sociological hoax,” The Amina Project confronts the authority of the image in the digital age. Is it, to quote one interviewee, an “Inspirational story of the power of blogging” or proof that social media sway is the War of the Worlds of today? Production designer and short filmmaker Robert Eggers makes his feature directorial debut with The Witch, an American-Canadian co-pro that offers one of two horror entries in the Canadian contingent at Park City. The Witch sounds like a fascinating offering for genre fans as it recreates a chilling New England before the days of the Salem Witch Trials when residents of the idyll villages are tormented by supernatural forces lurking in the woods. No, it isn’t Meryl Streep looking for ingredients to a magic potion—Canadian films can’t afford her—but Canadian film’s signature thin creepy dude Julian Richlings co-stars with an international cast that includes Kate Dickie (Prometheus, Red Road) and Ralph Ineson (Game of Thrones) as parents whose worst fears are realizes during this unsettling time. Hellions is one of the Canadian films that I’d really been hoping to see at TIFF’14, but the joke’s on me since Bruce McDonald and company only completed in December, shortly after the announcement was made that the film would make its world premiere at Sundance. Hellions is the second horror film at Sundance, but it has a stronger hint of maple bacon. It brings McDonald back to Pontypool territory (woohoo! ), but this time he’s working with a script from Pascal Trottier, whom local readers might recall as the writer/director of the great OIFF short Honour Code. Trottier’s becoming a notable voice among the speculative films of the Canadian film scene with The Colony under his belt in addition to a bunch of shorts, and I’m very excited to see how this pairing with McDonald plays out. Rachel Wilson, Rossif Sutherland, and Robert Patrick co-star alongside up-and-comer Chloe Rose (The Lesser Blessed) as a babysitter in Laurie Strode mode when a band of trick-or-treaters give her the night from hell. Hellions may be the Canadian film with the highest profile heading into Sundance, so we’ll cross our fingers that it finds distribution when Sundance kids pierce the crisp mountain air with their blood-curdling screams. Fanny Mallette, a regular of Stéphane Lafleur films such as Tu Dors Nicole and En Terrains Connus, stars in the latest feature from director François Delisle (The Meteor) alongside Pierre Curzi (The Barbarian Invasions) and Canuck icon Geneviève Bujold. Delisle’s background encompasses both drama and experimental short cinema, and his films have increasingly been gaining attention in both Quebec and on the international festival circuit, but they haven’t really broken in to the rest of Canada. The sombre looking story about two parents trying to move forward after the death of their child is doing a major festival run this winter with the one-two punch of Sundance and Berlin, as did his last film The Meteor, before a March release in Canada, so keep abreast of buzz. 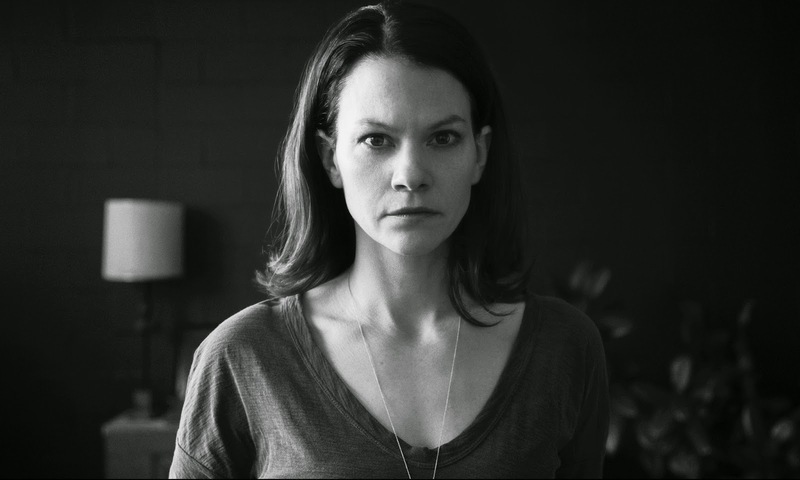 Early clips showcase some effective performances, striking black-and-white cinematography, and understated direction, making Chorus one of the Quebecois films to keep on the radar, especially as we look for innovative voices on the Canadian film scene. FunFilm has Canadian distribution. CHORUS_TRAILER from Films 53/12 on Vimeo. Canada’s resident weirdo Guy Maddin jumps to Park City after curating Telluride last fall, and his latest film The Forbidden Room sounds like it has all of his signature peculiarities. This time, though, Maddin co-directors with newcomer Evan Johnson and he brings a stacked cast of Canadian and international players including Karine Vanasse, Roy Dupuis, Geraldine Chaplin, Charlotte Rampling, Udo Kier, and Maria de Medeiros. Footage of the project, previously titled Séances, has been circulating the web for a while as it grew and evolved at Montreal’s Phi Centre—like Hellions, Séances made this blog’s TIFF wish list for 2014—and the early snippets showcase Maddin’s uncanny formalism and bizarro aethestics in top form. I still have no clear idea as to what this project actually is, but the more I learn about Maddin and Johnson’s absurdist epic and find myself confused by it, the more intrigued I am to see it. Phi Films has Canadian distribution. 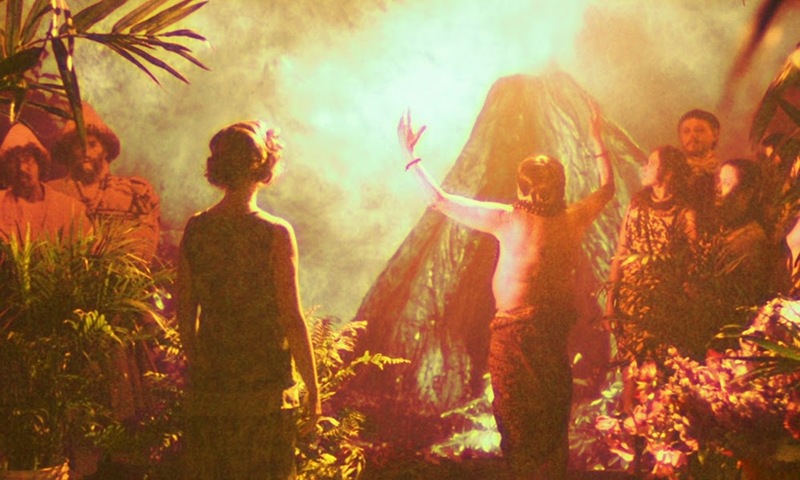 Seances - Guy Maddin: Jour 7 / Day 7 from Centre Phi | Phi Centre on Vimeo. Vincent Morisset brings a new interactive experience to Sundance and it’s one of the premieres that fans will first be able to enjoy themselves when it launches online February 5. This film/game/online art installation creates a world of panoramic vide, hypnotic hand-drawn animation, and dreamy music, and it leads users on an adventure with animated guide, taking them on a 360˚ walk through the woods that’s strange, unusual, and eye-opening. Morisset, one of the creators of the Arcade Fire web experience Just a Reflektor, is taking web-based media to new limits, so this jaunt through the woods promises to be an immersive experience for cinephiles ready to explore the ever-growing boundaries of film form. 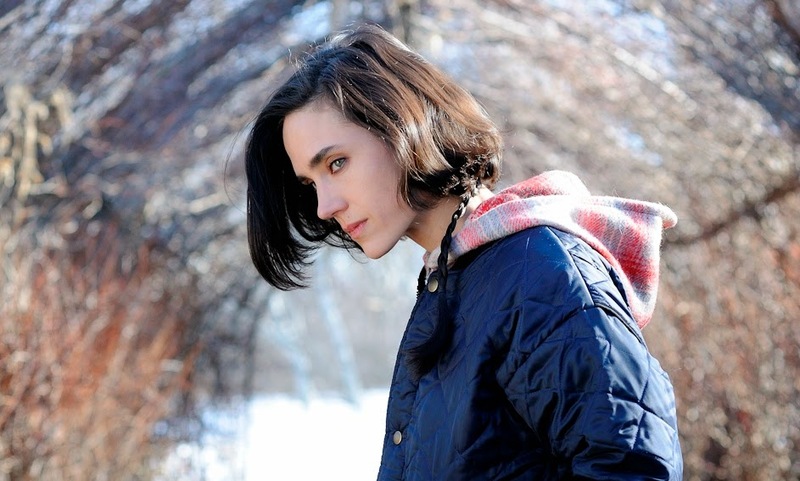 Jennifer Connelly as Nana in Aloft. by Jose Haro, Courtesy of Sony Pictures Classics. Here’s an interesting fusion of talents: one of the Canadian production companies behind the films of Guy Maddin teams up with one of the Spanish production companies behind the black-and-white opus Blancanieves. Aloft, which stars an impressive cast of Jennifer Connelly, Cillian Murphy, and Mélanie Laurent, marks one of many Canuck co-pros on the festival circuit this year with major talent (Anton Corbijn’s Life and Wim Wenders’ Everything Will Be Fine are premiering at Berlin), and this Spanish-French-Canadian co-pro Aloft finally gets a North American premiere after debuting at the Berlin International Film Festival last year to reviews ranging from mixed to mildly positive. Aloft had high expectations heading into Berlin since Claudia Llosa’s previous feature The Milk of Sorrow was a sleeper hit at the festival that went on to take the festival’s top prize, the Golden Bear, and nab an Oscar nomination for Best Foreign Language Film. Perhaps the Peruvian director’s English-language debut, which uses the snowy Canadian landscape as a quasi-mythical land for spiritualty and healing, will fare better with time, tempered expectations, and an appropriately snowy atmosphere. Mongrel Media and Sony Pictures Classics have the film for North America. *I won’t be at Sundance myself, but stay tuned for round-ups of coverage of the Canadian films taking Park City by storm! What Sundance films are you excited for?